Opposite the waterfront, close to beaches, jetty, cafe, shop & ice creamery. A convenient location in the center of Coles Bay, with mountain & ocean views. 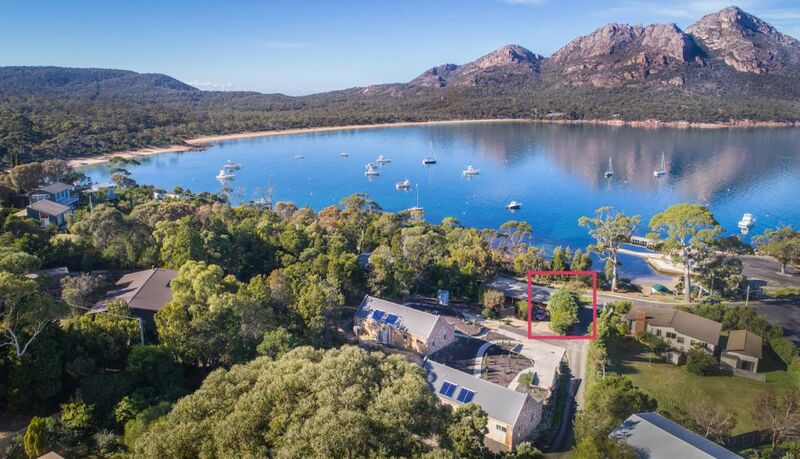 A semidetached Freycinet unit located on East Esplanade overlooking the pristine waters of Coles Bay. Freycinet Cottage – Unit 1 is a lovely one-bedroom unit set in rustic bushland surrounds. The unit has a queen size bed and ensuite bathroom. Well catered kitchen and comfortable lounge area. This is an ideal unit for a couple or lone traveller. Local shop and café are around the corner and Richardson’s Beach is a few minute’s walk. Sit on your own private balcony and enjoy a glass of good Tasmanian wine. Soak up the stunning scenery laid out in front of your cosy Freycinet unit. Look straight across Coles Bay at the beautiful Hazards mountains in Freycinet National Park. Only a 5-minute drive into the National Park to the Wineglass Bay lookout. There are many attractions here in Freycinet. In the Freycinet National Park you have the famous Wineglass Bay and the lighthouse, you can get information on the walks and hikes in this region from the National Park office here in Coles Bay. •	Have a roast and beverage at the Coles Bay Golf Club. There are lots of stunning beaches for swimming and fishing, a golf course and other attractions in the next town of Bicheno (only 25 minutes away) where you can go on a night time Penguin Tours and see Tasmanian Devils at Nature World.